Crufts, with its opening fanfares, fulsome coverage, shameless dumbing-down by commentators, and, for the dogs, an endless sea of human legs, comes and goes each year as a national institution, albeit one now with an international following. In 2015, with over 3,000 entrants from over 43 countries, it has been restored to the pre-quarantine days as an international event. With 22,000 entries and 160,000 visitors this is an annual British landmark. But has this been to the benefit of dogs, pedigree dogs in particular? 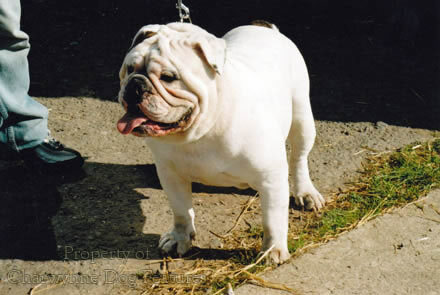 If the best dogs win, are only entered after rigorous health checks and are sound anatomically, it should be an arena for choosing future breeding stock - for the better future of the recognised breeds involved. 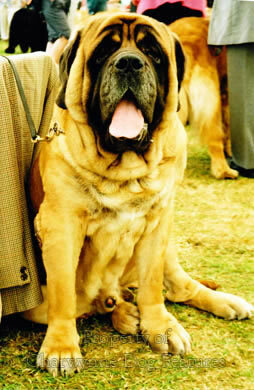 But, as with many competitive events it has predictable flaws: judges of questionable ability - chosen all too often by reciprocal back-scratching amongst the breeder-judges around Europe, fickle fashion affecting the soundness of some popular breeds (as the sad decline of the German Shepherd Dog illustrates), harmful exaggerations in physique being condoned and cups and coats becoming more important than soundness and vigour. I believe it is entirely fair to state too that dogs are less respected now than ever before, regarded as animated toys or prestigious possessions, never for what they can do. 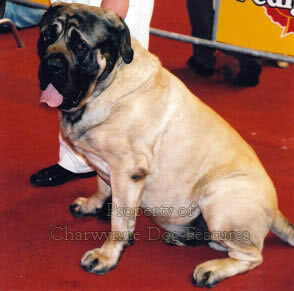 The value of Crufts should lie, not in the much-televised competitions of fly-ball, agility, obedience and heelwork, but, as veterinary knowledge and breeding expertise increases each year, the parading of dogs that are true exemplars of excellence in their breeds both for genetic soundness and historic breed-type. It should not be possible for genetically-flawed dogs in breeds where such faults are traceable or breeds altered by influential breeder-whim to triumph - but they do. 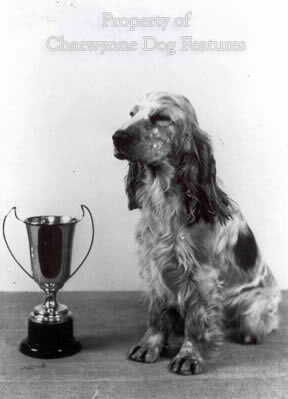 When a terrier can win with obvious signs of a luxating patella, a Pointer can win despite displaying a Hackney-action barred by its own breed standard, and a Cocker Spaniel can become a champion despite having ears longer than its word-picture or standard allows, the breeding of these dogs is becoming harmfully casual. Boasts about the huge entry cloud the fact that many of the exhibits do not deserve to be there; every year the Crufts' judges' critiques make the comment: How did some of these dogs qualify? But what do the judges at this most prestigious of shows think of the dogs arrayed before them, dogs which have had to qualify under other KC-approved judges to appear there. In 2010, the Old English Sheepdog judge at Crufts commented: "...all four top honours went to dogs from or bred in Canada, Germany, Russia and Spain, does this not say something about the breed here in the UK? One or two other things concerned me about this lovely breed, quite a few had light eyes, poor under-jaws, poorer-constructed rears to the point of very little deviation from thigh to hocks...Top-lines in many I found totally wrong..." The Whippet judge at this show concluded: "I am concerned that over-angulated hind-quarters seem to becoming more prevalent, too long from the point of the stifle to the hock. Not only does this spoil the balanced and symmetrical outline but is a serious fault as far as the functional capability of the Whippet is concerned." The English Setter judge reported: "I was disappointed to find that there seemed to be a lot of setters with long loins...breeders please take care. I also thought a lot of exhibits were not as well-muscled as they should be, with flabby soft rear ends and no second thigh muscle. An English Setter is a gundog..." For fundamental faults such as these to even appear at such a show tells you a great deal about the knowledge of anatomy of breeders, and indeed in the judges that qualified such flawed dogs for this top show, and this is extremely worrying. But such exhibits get bred from, the offspring of these dogs would have appeared at Crufts in 2015. The fawning TV commentators and the self-interested canine press never give front page coverage of the critiques of the Crufts judges each year. Here are some from the 2015 event: Boston Terriers: "I was disappointed at the number of exhibits who failed in action. Weak pasterns, bow fronts, cow hocks and hocks so close together they could almost ignite when moving away! I was also slightly concerned at the number of dogs who have almost no muzzle length at all..." Saluki: "Heads are a problem, eyes also and what has happened to the feet..." Labrador Retrievers: "Points still to address, round eyes and short upper arms, splayed feet and height (i.e. too tall for the breed standard)..." Pointers: "We do however still have a problem with front angulation and upright shoulders. Some exhibits were lacking the length of upper arm that is necessary to get the correct layback of shoulder needed to achieve the reach and ability the ground easily when on the move..." Japanese Chin: "Weak rear movement has been a problem in this breed for many years, now I am seeing small heads, pinched expressions and lack of strong under-jaw...Some dogs lacked muscle-tone in rear or did not have good angulation..." Chow Chows: "...it was disturbing to see no depth of quality in some classes and (in) movement." 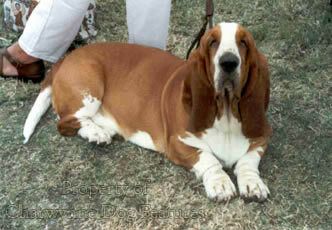 Dogs that qualify for Crufts are clearly not all sound; the judges that qualified them are not all sound either! These quotes have not been singled out to make a point. 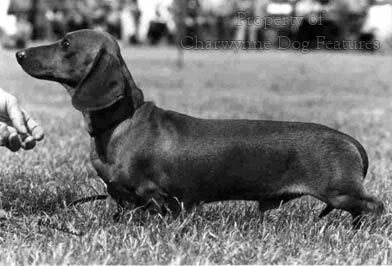 Other judges' critiques from the 2015 Crufts include: Dachshunds (Miniature Long-haired) - "Feet were bad in the overwhelming majority of those here." 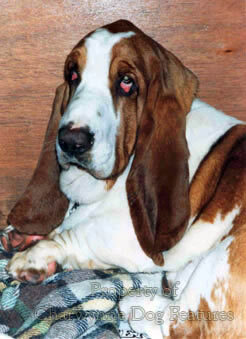 Basset Hounds (Griffon Vendeen-Grand): "Fronts are a cause for concern, very few had the requisite lay of shoulder and return of upper arm...I was rather disappointed in the muscle tone overall, very few in hard muscular condition..." Kerry Blue Terriers - "I think movement is generally a problem but that said I think that is true of all breeds" (This from an international all-breeds judge). 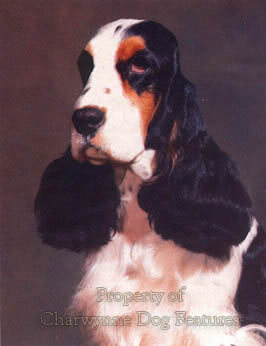 Irish Red and White Setters - "...feet are still so often flat, soft or open and pasterns are too are weak..." Leonbergers - "Points of concern for me are the weakness in both front and rear action. I found too many with slack pasterns and Charlie Chaplin feet..." Are these dogs truly the 'best of the very best' as the Kennel Club has claimed? The late Alexander Solzhenitsyn once wrote: 'to do evil, a human being must first of all believe that what he's doing is good. Or else, that it's a well-considered act in conformity with natural law. ' 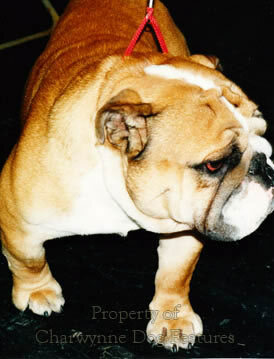 Breed enthusiasts who exaggerate their dogs usually argue strongly that there is nothing wrong in muzzle-less, legless, elongated, 'overdone' dogs; some claim to be just 'conforming'; all claim to be doing 'good'. The French have a pertinent expression for hobby-blindness, they term it 'deformation professionelle' or being unbalanced by professional zeal, so close to your obsessive approach that reality cannot get in. I have met Bulldog, Basset Hound, Mastiff and Dachshund breeders with this affliction. When youlisten to their excuses for exaggeration in their stock, youdon't know whether to laugh or cry - laugh at their self- delusion or cry for their dogs.